Symptoms: Lately I've been having a lot of pressure - mostly because she is low and it's the second pregnancy. I have a hard time walking or moving period. ha! I also have terrible insomnia. Best Moment this week: SO THANKFUL to be full term!!!! That is a HUGE praise! Also I'm at the point where Hollis moves and my whole stomach moves with her. I made Scott and Laurie (who were sitting on either side of me in Sunday School) watch my belly on Sunday so they could see her moving all around. It's such a miracle!!!! I think I look about the same big I'm just lower? 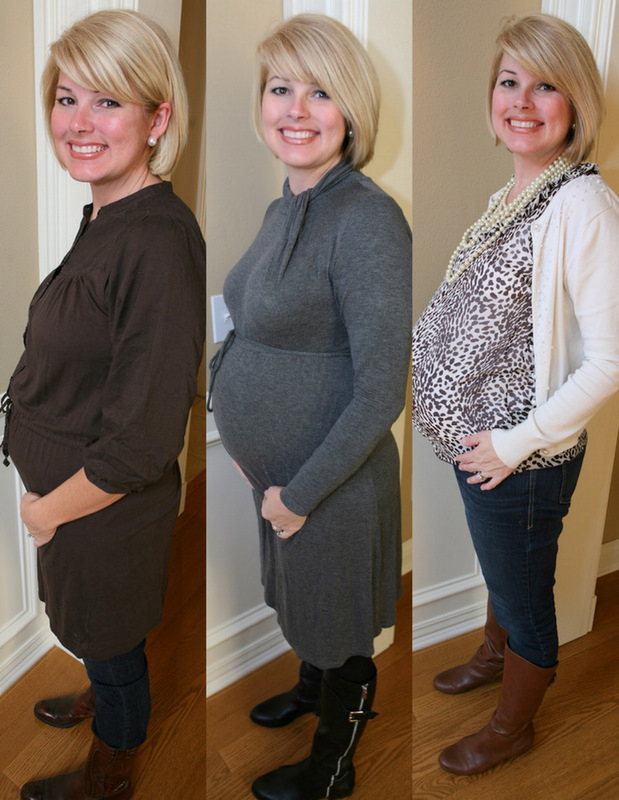 This is 17 weeks, 27 weeks, and 37 weeks. 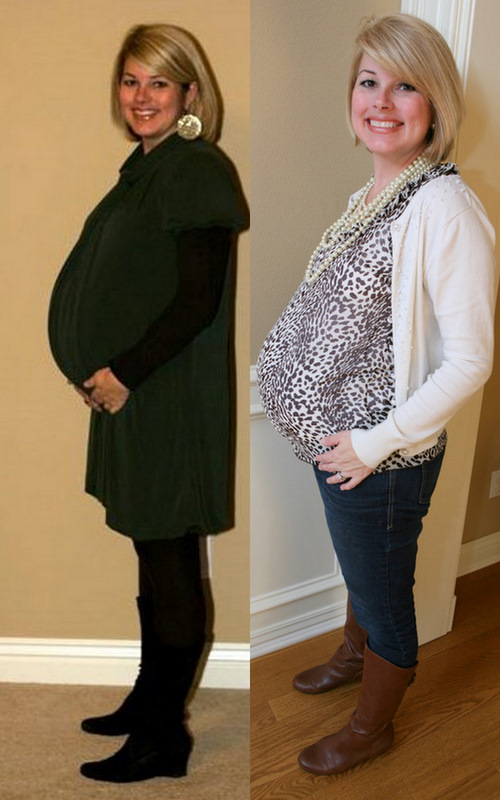 Isn't it neat how your body can stretch and grow for a baby? If that doesn't make you believe in God - I don't know what will! Sunday Harper wore this cute little dress I bought for her when I was pregnant with her. I've waited two years for her to able to wear it and this is what she did when I tried to take her picture. ha! Actually - the Devil was AT OUR HOUSE on Sunday morning. I felt like anything he could do to keep us from going to church - he tried to do. We had an awful morning and were all acting kind of like the picture above by the time we got in the car. But thankfully he didn't win! And I just had to share something a sweet friend Sarah made for Hollis' room! Isn't it so neat - it's a little light box! I just love it! I can't believe I only have a few days/weeks left!!!! !